By Emily Leaman·	 3/2/2015, 3:35 p.m.
How nice is this? Our pals over at Ploome in Northern Liberties are flexing their gratitude muscles this month and offering free classes to Be Well Philly readers as one big giant thank-you for being, well, kind of an amazing bunch. Beginning today through March 31st, Be Wellers can try Ploome’s Flight School classes free of charge — no strings, no catches. The classes are offered on Mondays at 7 p.m. and Fridays at 5:45 p.m. 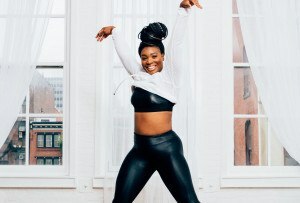 Whether you’re new to Ploome or a seasoned vet, Flight School: Studio 101 is a glute-shaking good time that taps directly into the core mechanics of our signature workouts. This sweat session combines the foundational exercises and routines found in our signature Pilates Mat & Yoga, Cardio Barre, and Pilates Apparatus programs. 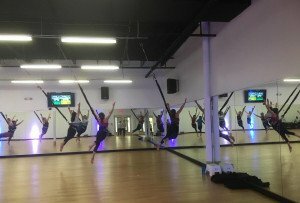 Flight School offers three 20-minute circuit workouts from our most popular small group classes: Naughty Bits; Booty Rock Ballet; Sprung. Flight School helps you soar at Ploome and was designed to provide you with everything you need to crush your fitness goals, indulge your curiosities, and inspire others to greatness. 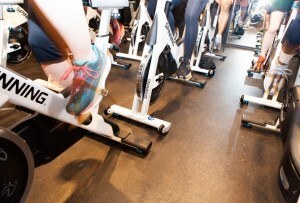 The classes are open to first-timers and veteran Ploome students alike. They will be available for drop-ins on a first-come, first-served basis, or you can call the studio ahead of time — 215-238-0200 — to reserve a spot. Whichever method you choose, be sure to let them know you saw this on Be Well Philly.